How can we ensure that quality is maintained? Consider... Sonia lives with her mother in Kibera, a large informal community in Nairobi Kenya. Sonia’s mother works long hours every day in the market to make enough money to pay for Sonia to attend a local, private preschool. Sonia is proud of her school uniform and backpack with activity booklet with kindergarten level number, letter and colouring sheets. Sonia’s class has 70 children and 2 teachers. The children sit on benches at tables and spend most of the morning working on worksheets and chanting in unison – A- apple, B-banana, etc. while the teacher points to the board. Sonia likes singing time but is often restless and only knows her letters and numbers by rote. Solomon lives in a similar informal community in Mombasa and, although Christian, attends a Madrasa preschool in the nearby mosque. This school has 60 children with 3 teachers and is spread over two adjoining rooms, arranged in play and learning centres, filled with no cost/low cost materials collected by the teachers and parents. Solomon’s morning includes a range of activities including time with friends building a complex structure with blocks and empty cans, a small group math sorting activity led by the teacher, storytelling, making books and writing/drawing a story, and outdoor play. Solomon can write his name and a few other simple words in Kiswahili. Both Sonia and Solomon spend large parts of their days confined to their small shelters, as the narrow alleys outside are dirty, busy and dangerous. In many ways these children are growing up in similar environments - but their ECD experiences are quite different. How do these differences impact Sonia and Solomon? What are they learning? How might they be feeling about going to school? Children come into the world with unique genetic predispositions that listen and respond to the world around them. From conception on, a child’s world is shaped by other individuals, available resources, opportunities, and cultural patterns. Think about your own childhood. How would you describe the people, places and events that remain significant memories for you? How do you think these may have influenced your development? What has a strong influence in your life now? The issue of quality was a recurring theme in the iYCG Workshops. Determining what constitutes quality in different contexts, measuring and monitoring quality, and maintaining quality in scaled-up programs are huge and ongoing challenges in the ECD sector. In the example above, both Sonia and Solomon have access to ECD programs but they are very, very different. There are many programs like Sonia’s with large numbers of children in under stimulating and under responsive settings and fewer play-based, child-centred programs such as the one Solomon attends. On this page we look at the quality challenge, the important matter of respect for cultural values, workforce capacity as a critical element of quality and curriculum. Policy makers and program managers frequently face challenges in scaling up evidence-based models that maintain the same impact on child outcomes as found in small scale research studies. The key question is what level of impact is possible, taking into account the myriad of elements that contribute to the environments that children experience. Another important question is what constitutes quality in early childhood settings. It is tempting to focus only on relatively clear indicators when measuring success. For example, with the Millennium Development Goals, access was the indicator regarding the goal for primary education. There was no measurement of learning. If most children are attending school fairly regularly but are still functionally illiterate after 3 years, there is a serious quality issue. In 2014, UNICEF, UNESCO, the Bernard van Leer Foundation and the International Step by Step Association (ISSA), in partnership with the World Bank and the Brookings Institution organized a meeting of early childhood experts from around the world to discuss quality and its measurement in ECD. The article below synthesizes their discussions. The experts agreed on some points of convergence in defining quality. They also agreed that it’s important to find a way to measure quality but with consideration of local culture and custom. As we continue with this page, you will hear several different clips that expand on these ideas. Kofi Marfo, Aga Khan University, provides a thoughtful comment on how knowledge and thought are culturally and contextually bound. The issue of how we look at human development in general but in particular young children. It’s one that has not been discussed a whole lot. Most scholars agree that there are multiple perspectives on anything. The question is does our knowledge base and does the literature reflect what we all seem to believe in. Knowledge, like many things, it’s really context bound. I mean the things we care about, happen to be the things we know about and we know about them because we are a member of a group and we are located in a certain place. We are part of a particular culture. We’ve had a certain type of education. So everything we considered to be knowledge is actually bound in context. It is either a reflection of what others have passed on to us from within that society or what we have gained formally through reading research. So even the research questions we pose typically reflect questions we have on our minds. So we look at western research. Every research is problem solving. It’s a problem solving system. And so our research hopefully begins from the questions that are important in the context in which we live our lives. So if you took a topic or a research question that somebody has found very compelling in Canada and so this is wonderful, I like the results let me go and try it in Machakos in Kenya. You’re really missing a very important part of research. Now the idea of replicating to see if there are differences between the Canadian town and Machakos in Kenya is a wonderful thing. That’s not the issue. You can always do that. But if you’re trying to answer a question that society faces then that Canadian question may not be the question that’s important for people in Machakos who try to understand. So that’s in the general sense, that is why perspective matters because most of the things we do are driven by circumstances some of which are actually tied historically to places, to cultures, to ethnic groups and things like that. There are people for whom knowledge is objective. We know the things we know because we have studied them scientifically. Or it is possible to know everything we need to know. You know that’s one perspective. People might call it an objectivist perspective. Reality is out there. We can find it. That’s one philosophical perspective. That are others who also look at knowledge as something that is not just an isolated, independent thing floating out there. That actually we affect knowledge even as we create it. That knowledge is actually something we construct. And if you believe in knowledge as something that we construct, then actually the idea that we would know the same things for all people doesn’t make sense anymore. So what is knowledge to me is not just what you’re giving me. Even what you’re giving me and my understanding of it and what I say about it depends on how I’m interpreting you. How I’m understanding it, my experiences. So all of a sudden knowledge becomes a bit more complex. Coming back to the field of child development, I think more and more people are understanding that actually knowledge itself is a system. It’s no longer the objective, you know, sort of set of ideas that most of us thought you know from one perspective, that something makes sense because of the way you look at it. So what does that mean for the field of child development especially for those of us who are interested in ensuring that we can tap in to the best of thinking, the best of evidence throughout the world. We want to tap in to everything that is wonderful out there. You know we don’t ignore something because it doesn’t come from our local environment. We need to be more universal, more cosmopolitan. We want to tap in to the best. But we also want to see how well the best that we can tap in to from any part of the world also has relevance and has meaning in the context in which we do our work. There are parts of the world where we have taken it for granted that actually the best is elsewhere. The best of what we need is not with us and so we need to go outside to find it. And my message is no there’s a lot of wonderful stuff outside but there’s a lot of wonderful stuff inside. And if we’re going to grow children who will be able to take care of their own societies, become critical parts of what we need to do fundamentally differently to move our countries forward. It has to be children who understand and have faith in their own societies and have faith in what they do as a people and their cultural traditions. That’s one of the impediments that our own conceptions of what constitutes good knowledge sometimes is coloured by the fact that we have a very competitive societies driven by schooling as defined in western terms and anything that doesn’t fit that mold is considered to be African or Asian and therefore is not important. So finding our way to this place where I’m calling you know, context is really, really very important and encouraging people to look at their conceptions of human development not just in terms of what I’ve been giving them from outside the culture but also in terms of what they understand about what takes place within their own culture. It’s one of the critical challenges of the field. Within societies, there are often significant cultural variations that can affect the quality of services such ECD - and others. In her presentation at the June 2016 Toronto workshop, Suzanne Stewart, University of Toronto, describes the major disconnect in Canada between the prevailing Western perspective and that of Canada’s Indigenous people. Participants about their definitions of spirituality and Suzanne’s response to a question by discussing her personal experience, as an indigenous person, with the healthcare system. Although Stewart focused on the health care system rather than specifically on ECD, it’s useful to keep in mind that children are affected, both directly and by larger systems such as health, education and others. I’m going to just start with a little definition that has been agreed upon by Canada, and that’s the word indigenous. You might have heard this word a lot lately, it’s a word that has replaced the word aboriginal in the political landscape. Both indigenous and aboriginal are blanket general terms that are used to refer to three legally identified distinct indigenous groups in Canada, that’s the First Nations who are status and non-status Indians, so I’m a status Indian, it means I have a number and I’m legally recognized by the government of Canada as such. The Metis, who are a group that are created by the intermarriage of French immigrants and the James Bay Cree. Then the Inuit, who are the indigenous people of the far north. I use these terms interchangeably, these blanket terms indigenous, aboriginal, native, but really indigenous people really prefer to be referred to by their specific tribal affiliation because actually prior to these political terms there were no blanket terms because of the large amount of within-group diversity amongst indigenous people. So for instance there’s 300 indigenous languages in Canada, and so you can imagine what that means for cultural difference and identity. 300 different people have their own language, they’re as different as say the Irish are to the Swiss, there’s a huge amount of cultural difference, and that’s what I’m here to talk a little bit about. I’m also using this term western a lot in my work, and I’m really referring to what we call the western paradigm, which is an individualistic worldview based on the psychology and the ontology and the epistemology of Western European thought. So in Canada we talk about the western paradigm as the dominant paradigm of knowing, of being. So why would we want to talk about indigeneity in health? And I use the example of mental health a lot because I’m a psychologist of course and that’s my area and that’s my passion. The first reason that we want to talk about indigeneity in health is because indigenous and western conceptions of the world, so ontologies and epistemologies differ significantly. Secondly, there’s also a gap in health services for indigenous people both in Canada and worldwide despite a crisis of health status for all indigenous populations across the world. Just to give you a little snapshot of what some of these differences are in world views between indigenous and western paradigms, and actually world view isn’t the right term, and that itself is quite a western phraseology, because in the indigenous paradigm our beliefs and our values and our principles don’t really come from a worldview, because a worldview is very centered in the mind, and our system of knowing, our system of being, really exists in the spirit and not in the mind. And that’s really where the main difference is around the holistic understanding of the self in the world compared to the dualistic understanding of the self and the world, has the most implication for health, as does in the indigenous paradigm health has a wellness focus. In indigenous languages there’s no actual term for sickness, the terms that denote what we call illness or disease in the western paradigm are around imbalance. So in mental health we use the DSm4, in various mental health disciplines, psychology, psychiatry, to do what we do. Primarily one of the things we do is we assess and diagnose patients in psychology. We define mental health as the state marked by the absence of disease. Indigenous mental health on the other hand is defined by indigenous scholars as balance within and between the four aspects of the self. So back to what I sort of said earlier about why we would want to look at indigeneity within the context of health for indigenous people is because the extent of these differences really indicate that we need to start to re-conceptualize our interventions, our assessments, and I’m using psychotherapy as an example, and psychology because that’s the field that I’m in. We need to reconsider these to incorporate indigenous concepts of wellbeing that really come from the indigenous paradigm if we’re going to successfully work with indigenous people, because there is a lot of data that shows the significance of the lack of success of western health interventions for indigenous population. If we want to start to think about shifting the paradigm of how we do business in terms of healthcare and health research with indigenous people, what the research really shows is that we need to start moving away from the illness and the deficit model of looking at indigenous people’s health and looking at what the strengths and solutions are, which is not saying that the deficits and the illnesses and the diseases don’t exist, of course they exist, but starting to reframe how we approach understanding what those are, and reframing that from an indigenous paradigm that focuses on the holistic aspect of the person. And when I say holistic I’m really talking about including the aspect, that one holistic aspect of the spirituality of the person. Because in an indigenous framework of health all healing begins with the spiritual. Does that perplex people when I say that here? A room full of doctors understands that? What does that mean for you in your work when you hear me say all healing begins with the spiritual? This is where you can talk and say something that’s exciting and illuminating. What does that mean? I’m actually, I want us to talk about that for a second. What does that mean for you in your work that all healing begins with the spiritual? Because I have a really deep and clear understanding about what that means, but I’d like to know what other people feel about that. PARTICIPANT: It means for me holistic and not able to be nailed down by any single thing. It doesn’t mean for me a transcendent god, but it does mean for me the awe of that which is hard to know and that you’re nonetheless part of. PARTICIPANT: I think being a family doctor the spiritual is more person centered, patient centered, I will move one step forward, person center, understanding the inside world, that’s my understanding, or spiritual. PARTICIPANT: -- by religion and we do believe in spirituality. I can give an example about why it is important, that the spirit is important. It’s just that when you are happy and your spirit is up, the illnesses don’t affect you that much even though you may be in pain. Suppose if you have a very bad headache and you hear that your mom is coming to see you and you’re missing your mom, your headache is gone, because that is the happiness, that is the spirit part of your being that is happy, and it makes your disease go away. This is how I can explain it. PARTICIPANT: I might say something a little different I think for me. You made me think more about some of my work on South African and some of my work in maternal depression. I think what I learned mostly through my PhD work is the importance of finding aspects of health which are diagnostic which do transcend across different belief systems, and being able to hold onto that, which allows you to advocate for mental health services or mental health investments while still understanding that for individual people the way in which you understand why you have a particular challenge or what you may think is appropriate to do about it can be personal and can be spiritual, and that doesn’t necessarily undermine the effectiveness of anything that’s done to respond to that. DR. STEWART: So despite your understanding of the relevance of spirituality you still believe in the objective reality of an illness. PARTICIPANT: What I think is important for me is finding a balance between retaining enough of that you’re able to advocate for resources. So if we get rid of depression for example as a term how do we advocate for services for people who are experiencing depression however we frame it. DR. STEWART: So it’s also about the topology and understanding how we create that within society. Dr. MILLER: Good morning, I’m Bran Miller from India. India has based most of the spiritual things, even our prime minister talks about now how yoga helps in your life situations. So spiritual does not belong to the religion or any god. Where religion dies then the spirituality starts. Spirituality is individual reflection, so mental health is nothing but your individual status, so there is always connected with the spirituality (...?). PARTICIPANT: It’s a provocative concept I suppose. And I listen to ideas of spirituality outside to you, sort of the idea that it will make it better or a concept. But my sense really is spirituality is very much more an internal thing. It’s how you navigate and how you cope, and I don’t believe illness is all in your head, I do believe you get an illness, but how you navigate that and how you deal with that, that comes from your spirituality. So kind of a coping pathway. DR. STEWART: Thank you. So spirituality means many different things to many different people and can be defined in a lot of ways, and maybe we should turn this back to Dr. Shiffman to help us come to one definition or understanding about what spirituality is. In the indigenous framework spirituality is understood in these ways and in other ways. So what are some of the concrete ways that we could begin to implement this type of programming that can address this gap in world views for children and families? Well there are several models that exist out there. So this is one from psychology, it’s called a hybrid model, just like the car, brings together the best of two worlds, because as we know according to UN research 100 percent of indigenous people worldwide come into contact with the western world every day, so there’s no 100 percent indigenous approaches for people, that doesn’t make sense for the reality. We know that when we look at working with indigenous people one of the biggest things that we need to be aware of is that the impact of colonization practices on indigenous health, both for people in Canada and worldwide, can really be summed up as the destruction of identity, community, and the transmission of indigenous knowledges related to health and wellness. So in Canada, just to give you a little snapshot of what this colonial history of assaults and aggressions on indigenous people, those are things like a relocation from traditional lands and confinement to reserves, parents and children suffering separation due to forced placement in residential schools, social services, and forced adoption and child welfare, a loss of control of community, currently gradual and increased involvements in national and global economies. The continued political and social marginalization, and many more things. What the research is really saying is that as a result of this colonial history indigenous people in Canada have some of the poorest levels of health of any population. That includes children, mothers, families. So I’m not going to give you a lot of the details because I probably only have 30 seconds left, but those are really around things like suicide, death by injury and poisoning. There’s a lot of other data but I don’t have time to share that with you now. What we really know is that in mental health, of course that’s the huge area that I work in, is that indigenous people have very high rates of anxiety disorders, trauma, addictions, and abuse with alcohol and drugs and many more things. And what this really leads us to believe, and this is the really important piece for all of us who work in research, is to actually understand that health for indigenous people is a political construct and not a biological or technical process. DR. BARWICK: Hi Suzanne, Melanie Barwick, thank you for your talk. So given this interpretation or this reality of indigenous balance and health, what are the implications for implementing healthcare with indigenous populations? DR. STEWART: I do have some information about that. And I guess really the answer to that is really understanding that health for indigenous people isn’t necessarily about their individual health status and what’s going on with them, it’s really more about the broader social and political context for people. And that’s why I think what can we do, I think we need to understand that indigenous health is not really about what’s really going on in the person, it’s about many other things to do with housing, to do with food security, to do with water, to do with policy, to do with education, to do with racism and discrimination. Studies show that 85 percent of indigenous people who go to see health practitioners leave because they felt like they had an oppressive or racist experience. And I myself experienced that when I brought my kids to Sick Kids Hospital in the emergency room, because I’m brown, my boyfriend is brown, our kids are dark, I’m asked repeatedly who’s your social worker, who’s your social worker, well I don’t have one, are you sure you don’t have one? Are you smoking in the home? No, none of us smoke. Are you sure you’re not smoking in the home? I get this kind of treatment that I don’t think that a lot of other people necessarily get. So I think that’s a huge issue that needs to be tackled by the discipline, the racism and discrimination. I would say’s the largest barrier apart from health approaches not being adapted to the indigenous world view. The indigenous world view is based on relationship. If there’s no relationship of trust, and trust has been broken between the dominant system and indigenous people due to colonization, due to residential school, due to the outlawing of indigenous healing practices by the Federal Government, by the jailing of people who spoke their language or practiced their medicines, that has all repercussions for who we are and what we do as health professionals, and we have a responsibility to begin to rebuild that trust not just with indigenous patients, clients, research participants, but with indigenous communities that we want to help them. We’re not helping them if we continue to use non-indigenous forms of healing, and non-indigenous forms of knowledges with indigenous people. That’s a continued form of oppression when we continue to not legitimize their ways of understanding health and wellness. Stewart discusses the connection between healing and spirituality with audience members. What did her remarks and that discussion mean for you? Is there an indigenous population where you live? How are they doing relative to the majority population? The next video shows the importance of incorporating indigenous cultures in ECD programs in Canada. A quality early childhood workforce depends on a training, facilitation and supervision at the local level. It is possible to build the capacity of local, municipal and regional managers to administer programs for young children and families at scale. Albert Lee, Chinese University of Hong Kong, stresses the importance of all professionals whose work involves children and families to be educated in child development. He also discusses the benefits of education in ECD to young people who may someday become parents. Any profession involving children; and children, not just development; anyone involving children, they’ve got to learn early childhood development. Right, of course different contexts, different level right. So I think in terms of professional training, even let’s say social worker, alright? They’ve got to learn early childhood development; doctor, nurses, nutritionist. So I think we’ve got to be; start quite early in the; maybe undergraduate training or the vocational training; put in some element and then focus on professional development and the need to advance themselves. So I think the work force any way we look at it we really have to do some mapping. At the university I will always advocate idea; okay now you map out your program and look at what academic subject you need to postulate whether the graduate might be involved in early childhood development and then you have to put something in. Or even though he could be; in our university because we do have general education and maybe this could be a topic. Some people may call it engineering, but you never know, they may be designing a toy house which would relate to childhood development. They never dream of training or learning some early childhood development until couple years later as an architect engineer; now off you go, you’re going to design a children’s house. And with all the fundamental, basic knowledge of early childhood development sometimes we find that we are talking for the brick wall with them. So I think at a college or university they could put as a general education; encourage; instill them to take it as a general education subject. So prepare themselves; one day they may end up early childhood development. So I think when we prepare the work force, we need to think broader rather than just focus, okay those training as the teachers, those training as child worker or social worker. I think we’ve got to go beyond that. Even; extreme example; some of you, maybe you are in the course training to be hotel and hospitality management; okay, now increasingly a lot of parent would take their children to holiday and things like that. Could you make it; the kind of holiday become more conducive to; for development of children? That’s another example so I think we should not confine ourselves just thinking of certain professionals; yes we put in the training and not give an opportunity for others to learn about it. And I think that’s one way. And also at high school, they should start learning something. They’re a potential father; potential mother, alright. So I think a certain kind of training; well I wouldn’t say training maybe knowledge of early childhood development could be given to the high school student. Think about how doctors, nurses, teachers and social workers are trained in your context. How much ECD content is in their curricula? In many countries ECD training is confined to the education of preschool teachers, childcare workers and the like and often even these get very little. How much do professionals that engage with the children in your life understand social-emotional, language, cognitive and physical development from zero to eight? By now you are familiar with the successful Jamaica Home Visiting Program, and the resulting ECD Program called Reach Up. In the next two clips Susan Walker, University of the West Indies, discusses a project they have undertaken to support scaling up. So, the work that we're doing in scaling up is not so much ourselves scaling up, but that we wanted to do some work to facilitate others who wanted to implement similar interventions at scale. So what we've done is to develop a program which we call the Reach Up Parenting Program, and based on the Jamaica Home Visit intervention, and developed a training package and some technical support, so that we can empower others to implement similar interventions, because one of the big challenges in taking early childhood to scale is having the human resource capacity. So having people at different levels, people who understand an intervention sufficiently to train and supervise or mentor, as well as people who can train community health workers or other similar people to actually deliver the intervention to families. So this was really an attempt to expand the human resources available in various countries to deliver early childhood interventions, particularly around home visiting. We developed a number of manuals around it, so a training manual, a manual for supervisors. We expanded and made the curriculum more user-friendly, and we developed a series of films, so a film that gives somebody an idea what a home visit should look like from the beginning to the end. How you come in, introduce, you know, the rapport with the mother, some example activities and preparing for leaving and encouraging the mother for the rest of the week. And then we also made a series of films, much shorter films, just around particular activities that you might be trying to get across in terms of how to teach a child, how to engage a mother, so a lot of the "how" part, as well as some of the activities that you might do with a child, so some blocks or looking at books and things like that. So, there's a whole package of materials and so far, because we became concerned, we have the idea that we just pushed on the Web, make it freely available. And then we were a bit concerned, we thought about it, we were a bit concerned about how it might be used and not maintaining the effectiveness of the intervention if people didn't have some amount of engagement with somebody who knew about the training. So what we've been doing is working in 3 countries more in detail, and then we want to expand the number of people qualified to train, so that they can do in-country training and then we would release all the materials as long as somebody was going to have a qualified trainer involved. While the Jamaica study is very exciting and influential, we have to understand that it was relatively small scale and very carefully done and intensive. So we want to know, well if we replicated maybe fortnightly, and people go fortnightly and they haven't quite that level of supervision and they have a benefit, but not as big a benefit as you would anticipate how sustainable is that benefit. And I don't think we really know the answer yet, but I think the information will be beginning to come out soon because I think people recognize it's a gap. In her presentation in the 2014 Sao Paulo Workshop, Walker discusses their work with web based training through the use of videos. DR. WALKER: So moving on to the next area of work that we’re doing, which is expanding access through training. As you’ve heard, the Jamaica Home Visit Program has a strong evidence base, it’s feasible in low resource settings, and has been replicated in other countries. So we wanted to develop, and this is in partnership I should say with Grand Challenges Canada, we are developing an innovative web package with training and technical support, which is targeted to organizations in low and middle income countries. So our goal is to increase the capacity of staff in these organizations to implement programs, and so to be able to train the visitor who’s shown in the picture at the bottom of this slide to deliver the program to the mother, and also to monitor the quality of the program. And so the goal then would be for the child to have a more responsive, interactive caregiver. We’ve produced a whole series of films. The work started this year, and our focus this year has been on developing the program materials. So we’ve produced films in Jamaica, Peru, and Bangladesh, and the Peru and Bangladesh films were done in collaboration with Cuna Mas and ICDDRB. So they’re three 15 minutes films which demonstrate the steps you would take in a home visit, and 28 short films which depict specific activities and concepts that are needed for training. We’re also working on revising and updating the curriculum which is designed for use by the home visitor, developing training manuals for use by the trainer including a guide or use with the films, and a guide to how to adapt our program by the program leads or the specific needs of their country or context. In the coming year we’re going to be working with organizations in our countries who we’ve termed early users. And this is for us to learn what are the challenges with implementation, and to maybe modify some things that we can still modify, and to do some evaluation of how the package works. So in these countries we’ll be providing some more detailed on the ground technical support, including workshops, helping them with adapting the materials, and very importantly working on tools or monitoring and evaluation and training in how to use these so as to maintain quality. So really a lot of emphasis on how they would supervise and monitor the program. And just to say, the next step following that, hopefully by the middle of next year we expect to have the films and materials online, and we’ll be developing the technical support over the course of the year. We’re hoping that the first organizations will do some further evaluation of how it works so that we can further modify and develop the technical support, which will also be available online. And one of the things I just wanted to point out is also that the package is going to have a creative commons license, which allows users to adapt it freely for their needs as long as they attribute the original to the developers, and also as long as they share what they develop under the same guidelines. Thank you. Learning environments for young children must respect and reflect local cultural context and realities. In the next presentation from the 2014 Washington Workshop, Robert Serpell, University of Zambia argues for a framework on child development that recognizes the immense variation of geography, cultures, sociopolitical circumstances and, economies in which children grow up and discusses limitations of Western dominated discourse and research. I am going to try to identify some critical gaps in the scientific knowledge base of what it is being called developmental potential, which is one of the building blocks of the initiative that this workshop is around. My starting point is that the human species is not only distinctive in the animal world for its plasticity and by the way also its resilience of the CNS and by its dependence through infancy on human caregivers, but also by its disposition to communicate with language and perhaps most important for my talk is by its capacity for reflection, evaluation and innovation. These are not characteristics that we think of as being studied elsewhere in the animal kingdom. The human species is also distinctive as a social being in which organization and participation are embedded in what is known as culture. One of the features of human cultures is that they are very particular in different societies. The seminal paper by Charles Super and Sara Harkness called the Developmental Niche articulates three dimensions of the niche to which members of the species are expected to adapt over the course of development. The physical and social settings are the easiest to recognize, but they also have very short way beneath the surface, very different child care practices, and requiring psychological and social investigation, they have different implicit theories of what care giving is about and what it is for and how to do it. The very influential articles published in the Lancet and I am not quite sure because there were so many new names this morning whether any of the authors are here, but I know people associated with the authors are influential members of this gathering. They call themselves the ICDSG, the International Child Development Steering Group have articulated a position, which is primarily a political argument about social justice in response to economic inequalities. And probably all of us in this room agree about that because otherwise we would not be here. But it also includes a technical argument, which is based in science about the strategic benefits of prevention. In order to strengthen that argument, perhaps in order to sell it to stakeholder groups, organizations with funds to invest, the argument presented in that collection of papers in my view tends to exaggerate the degree of consensus within the scientific community on what constitutes developmental potential and on how it is fulfillment is best supported. We heard a clarion call this morning for identifying in the behavioral domain something as universal as the growth curve for physical weight by age, which has been so effectively applied in that area of human services. 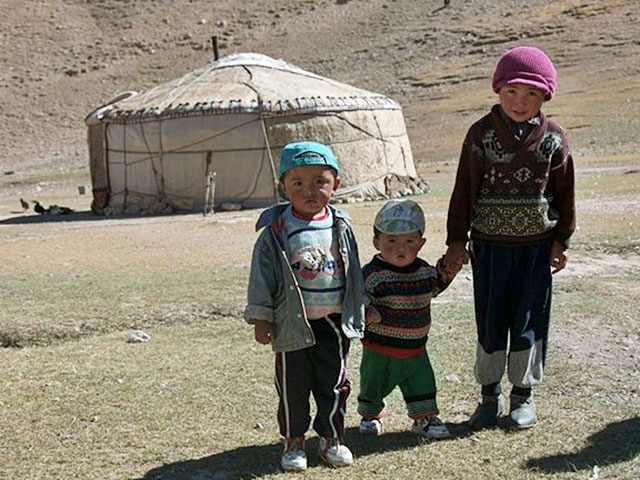 The group advocated an intervention package along similar lines to the strategy, which UNICEF launched in the 1980s, which went by the name of GOBI. GOBI stands for growth-monitoring, oral rehydration therapy, breastfeeding and immunization. The evidence marshaled in the 1980s was that these were universally effective causes of infant survival, growth and health. In this new era, ICDSG proposed that stimulation and caregiver sensitivity are universally effective causes of the development of children's cognitive and social-emotional competence. But psychosocial intervention to optimize the development of young children cannot be operationalized with the same degree of cross-cultural equivalence as a vaccine or breastfeeding. This package is under critical examination. Why is it so difficult to specify principles of human development that are universal across cultures? I would like to talk about three sources of difficulty. Firstly, the demands and affordances of the developmental niche are different in different cultural settings. Secondly, theoretical biases exist, which are well documented in the history of science that what is seen as a satisfactory explanatory model in developmental psychology reflects a great deal of the cultural intuitions of the population who write these theories and for whom they are written. And thirdly, I would like to talk a bit about measurement challenges. The assessment of children's competencies depends on culturally specific practices like the IQ test, for instance, which all American children have become experts of handling by the time they are about seven or eight years old. That is not a universal cross culturally phenomenon. Culturally sensitive instruments. There are still those who believe that there is such a thing as a culture fair test although I thought that was pretty much dispelled in the 1980s and 90s that myth. Environmental variations. Young Zambian children from low-income families especially in rural areas have very few industrially manufactured toys or puzzles or books. 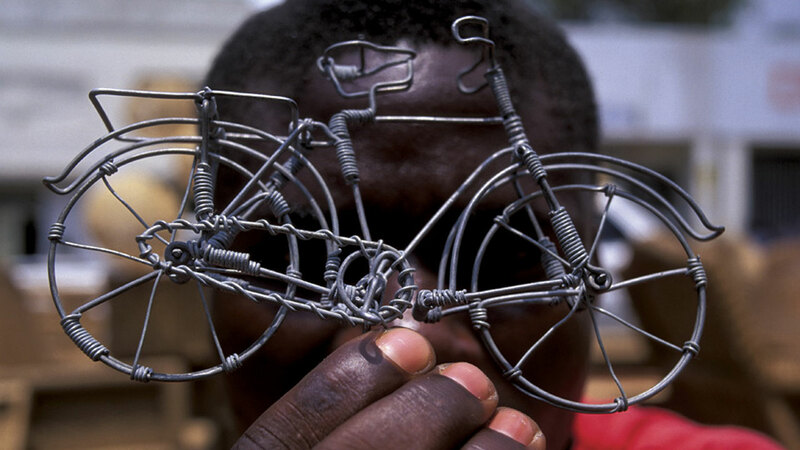 But they draw on a rich heritage of music, dance, and games and they make their own ingenious toys. Sometimes when I have shown slides of these two American undergraduate audiences in Baltimore, I found that they -- students would come up to me afterwards and say I now realize I had a deprived childhood. I never made a toy. All the toys I had were given to me prepackaged. They get little parental input, Zambian children, to their games, but they receive guidance in their zone of proximal development, as Vygotskii would call it, from more competent playmates. They get most of their preschool language socialization from siblings and peers rather than from adults. And they derive support for emotional stability from a socially distributed system of care. This is a diagram, which illustrates the complexity of what makes a good theory or gets a theory accepted. I think the tendency is for western scientists to focus on are we cutting the world at its joints to what we propose as theories actually correspond to what exists in the real world. We do acknowledge that we who are creating these theories are a part of that real world and we have a biological structure. But we do not always acknowledge that the cultures that we bring to this process of theory construction are not solely determined by our biology. They are also inferenced by our history, by the social structure of our societies, and they give rise to cultural preoccupations, which have a strong influence on the goals and traditions of our theory making. For instance, within western theory where supposedly there should be a body of consensus at this point in history, we can see that the theories of B.F. Skinner are still being invoked by some researchers and by the theories on James and Eleanor Gibson. Piaget is still cited as a giant of developmental psychology as is Vygotskii. There are more recent exponents. Vygotskii and Michael Cole have quite different views of what we can learn from developmental psychology. Urie Bronfenbrenner and Arnold Sameroff systemic models introduced a whole new dimension to western theorizing about development. And some of these other people towards the bottom here. Less well known are Jean Lave, Richard Schweder, Margaret Beale Spencer, and Barbara Rogoff. Each of them has their own distinctive theoretical interpretation of the context within which children are developing. If there is consensus, we have to try to integrate all of this. The models, which are proposed by western science, tend to be theoretically elegant, parsimonious, and testable. And yet if they fail to connect with the local realities in which they are being applied then they have limited utility. They cannot really be regarded as a source of quality. To import a culturally alien package of cognitive stimulation can only be justified if research shows that prevailing, local stimulation techniques are less supportive of children's development. In most cases, such research evidence does not exist. Design of appropriate, effective early childhood care and education services for African societies requires much closer attention that it has received to not only the adverse economic conditions in rural and peri-urban neighborhoods, but also to the strengths and the limitations of local child-rearing practices, local knowledge, and local attitudes. Let me give an example about measurement here. We see in much of the Lancet articles referenced to percentage increases, standard deviation, amount of variance explained, all based on standardized instruments, which have had very little adaptation to the population to which they are applied. But if you apply an externally packaged standardized test to a population, which it is not designed for, typically you will get low performance on that. The tests, which are often presented as part of the hard science of neuropsychology, are actually grounded in western cultural practices. For instance, the block design pattern reproduction task. It features in many contemporary standardized international tests. African children tend to perform well below western norms on this task. And it has often been interpreted as evidence of cognitive impairment. For instance, this task is based on the assumption that children are interested in and have experience with trying to solve puzzles, with pictorial perception, with manipulation of blocks. These are all skills, which are promoted in western societies with industrial produced books and toys and are taken for granted by many western families, teachers, and psychologists. The main cognitive functions, which the neuropsychologists are trying to get from this test, are very similar to those required for the construction of toys. For instance, these children here are making their own wire cars, three-dimensional, skeletal models of vehicles, which they will never probably in their lifetime, get to drive although they may be passengers in them. And you see that the abstraction of form required and the understanding of the principles of steering and suspension are quite sophisticated. Children get no adult guidance in this. There are no handout packages from the shop to tell you how to build it. They teach one another how to build these toys. It is a very widespread practice in urban and in rural areas. Why do African children perform poorly on the block design test? In the literature that I looked at in the 1960s, there were statements that African children have a different attitude towards perception. They lack practical intelligence. They have a non-visual sensotype. They have a field-dependent cognitive style. They have difficulty with imaged transformations. All by distinguished western researchers. But none of these deficit explanations is consistent with the results of a double dissociation experiment, which we conducted comparing low-income children from England and from Zambia who were presented with the same shapes to reproduce either in pencil and paper, in clay, or in wire. As predicted from an analysis of their eco-cultural environments, the English children scored much higher on the paper and pencil task, the Zambian children much higher on the wire-modeling task. And the two groups did not differ on clay modeling. Going on from there, we designed a test called the Panga Munthu Test, which means make a person. This test presupposes only familiarity with the widespread African play activity of clay modeling. There is quite a lot of evidence that it actually relates more to children's home experience than to their school experience and therefore it may be particularly relevant for assessing street children, orphans who have stopped going to school, and refugees. I intended to talk a bit about three critical knowledge gaps. I will just skim over the first one. Language development in multilingual contexts. We have good evidence and it was just recently highlighted by the SRCD that multilingual child development is empowering rather than a disadvantage. But we have very little evidence of how children really learn their language in multilingual settings. This is the one that I would like to talk a little bit more about. The practice of children taking responsibility for a younger child has been misrepresented by some international agencies as an exploitative deprivation of children's rights to play. The evidence we have from a project, which monitored and evaluated this activity applied in an educational setting is it actually is a very effective way of showing respect for a child's preparation for adult responsibility. In the project that we saw, which was initiated by a group of Zambian primary school teachers and a government school in northern province in Zambia, we saw children plotting growth curves in math curves, discussing health and nutrition in science classes, and going out of the classroom to monitor the growth of a younger child, escorting the child to the clinic, evaluating the child's growth, preparing oral rehydration and even nutritional rehabilitation. Here is a mother who is instructing her child on how to carry the baby on her back. A young boy -- it is not only girls who carry young children in this activity. This is a teacher with his student who is escorting a young under five child to the clinic. These are the children studying growth charts. What we saw in this study was that contrary to the expectation of some skeptics, there was a higher academic pass rate on the national secondary school selection exam by the children involved in this project than in children in the same school attending traditional, conventional classes. In follow up work, ten years later, what we have seen is that the young people who went through this looked back on this as a formative experience, which led to pro-social values such as cooperation, gender equality, and nurture and help for other people. There was a brief reference earlier today to the attachment theory. What I would like to point out is that Bowlby's evolutionary model has received a great deal of attention and promotion. It is well known. I won't bother to summarize it since I have run out of time here. But much less publicity has been given to the fact that there are well-articulated critical alternative positions. Keller and her colleagues in Germany who has done studies in Cameroon and in India showing that the goals of parenting are systematically related to care giving practices of infants, which are quite different in rural African societies from urban, industrialized countries like the United States. To take the model of attachment and say this is the way to achieve emotional security in adulthood is a very questionable intervention based on a very narrow part of the world's population with a theory, which is very much under critical reconsideration within western psychology. I agree with the first speaker that developmental changes in vulnerability and susceptibility to ameliorative interventions is one of the contributions that developmental science can offer to the design of effective policies. Individual and social factors that are protective against poverty and its psychology impact. Exceptions to the developmental trajectory. I think in biology this idea of a trajectory has become very influential. But in postnatal life, we actually are not kicked off and then like a bullet we can predict where we are going to land. We actually negotiate our journeys through life. And a lot of personal agency enters into this. That is one of the things, which is at risk, I think, with this over emphasis on trajectories as a model of development. And finally, I believe that we need to look very closely at research on effective strategies for engaging communities in the promotion of sociocultural change. In a paper published this year with my Cameroonian colleague Bame Nsamenang, we identified eight ways forward from this patchy provisional knowledge into responsible intervention. I won't read them all out. I think people here are highly -- you can get these from the slide. But I would like to just emphasize the last of these since this is very much an international meeting that partnerships in the design and delivery of professional training for ECD providers should be emphasizing the use of indigenous resources, the cultivation of social responsibility and very much in agreement with Maureen Durkin, the respect for human rights. Thank you for your attention. The following interactive activity will help you test your recall of Serpell’s presentation. 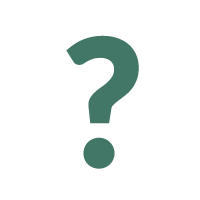 Click on the question mark hotspots for review questions. I thought your piece about testing and examination was fantastic and applies not only across cultures, but does also apply across learning difference and disability. Kids are often tested for cognitive things using their hands when they cannot use their hands. They are tested for abstract reasoning, using reading for kids who have learning differences that are only affecting reading. That testing problem that you raised I think is important across cultures but also across learning. I want to make one friendly amendment on the sibling care, which is, I think, a very important point that care is done differently and that we may get to the same milestones in many places in different ways. But I think it is not just the aid agencies that raise issues about distinguishing some sibling care from children who have to care full time for siblings. I say that based on having interviewed thousands of parents and their kids where both the parents in countries say I wish I did not have to pull my eight year old out of school to provide care for my three year old. And importantly, I think the eight year old themselves and the ten year old themselves have told us they would rather be in school. There is also good national data showing that you are at very high risk of being pulled out early if you are a girl with a younger sibling zero to five. I think we need to distinguish some of what is really differential ways to raise children from some of what is need based when it becomes full time caregivers at very young ages, not by either the parent or the child's choice. What do you think of Heymann’s point that most children, and their parents, would probably prefer that they not take responsibility for their younger siblings? Can you relate to this experience? With ECD programs, what works well in one community, may not necessarily be successful in another. The first video features Caroline Arnold, Director of Education at the Aga Khan Foundation, discussing some things to consider when supporting communities developing ECD programs. It’s a, again, an interesting question, how do we adapt programs to the local context. And maybe sometimes it is that, particularly when we’ve got a program that we feel is working really well in one place, and they’re really wanting to see how it can be adapted for other contexts. But I would say that one of our strengths, is that really we take, as the starting point, the cultural context that children are growing up in and the socialization processes that support that, that growth and development. So it’s not so much adapting, it’s looking at what is already happening for children and how can that be, how can the best of that be really supported so that children can have the supports that they need to really grow up healthy, happy, well-nourished, safe from harm, lots of opportunities for learning, growing up with a sense of self, sense of identity and self-worth and able to get on with others and contribute to their families and their communities as they grow because, after all, that’s what we all want for all of our children. But understanding the nuances of that, within a particular cultural context, understanding people’s child rearing beliefs and values and actual practices, is key. And particularly key is that we understand people’s concerns and worries and the issues that they face. If we’re really going to be able to design, with families and communities, programs that will work we have to be taking those things into account. Although there are widely varying contexts, at the same time there are many universals in childhood. If you observe young children playing freely outside - whether you are in Canada, China, Mexico, Mozambique or Bangladesh - you will see similar scenes of high energy play, laughter, risk taking, and children challenging themselves and each other. The next clip is a joyful montage of children from many different parts of the world, playing outdoors in school playgrounds and parks. Do you see play that is familiar to you? Can you see any universalities in how children play? Listen as Kofi Marfo discusses play and pedagogy in the next clip. So play is universal. It’s not even just within the human race. It cuts across sort of phylum. And then there is, so what constitutes play? Ok, so if play is universal but what constitutes play can vary from one place to another. So when you bring the knowledge home to the practical kinds of things and you ask yourself what is the role of play in children’s development of anything, their development of social skills, their development of cognition, the way they think, their development of specific forms of knowledge such as quantification, their ability to compare one thing to the other. So we can think about broader stroke products of play. Children become smarter through play. They polish their language through play. They come to know their role in relation to another through play. There are all kinds of things that, the list can go on and on and on. So what do kids have to play with though, to get these outcomes? And that is where the issue is and I will contend that cultures around the world provide alternative pathways to optimal development. So if you’re thinking of children’s conceptual development, being able to understand that something this size is smaller than something that size or you can take two pieces of stick and you slide them this way, you arrange them in a way that they are not matching. They could actually be the same length. But children have to learn to know whether you have to map things out exactly that way to tell whether they are the same or not. So the question becomes if we want to take advantage of something that is so natural such as play, to design curriculum, to design pedagogy, how we go about sort of teaching. What are we going to do? Are we going to order toys from Toys R Us somewhere in Texas? What are we going to do? And the point is that actually the things that children play with that are responsible for the multitude of developmental competencies that they come across are all around us. The only thing I would say is if you’re going to be thinking about play, which I’m one of the supporters of play, as a natural way in which children learn. Then as you begin to formalize it, I mean you have play, free play where children you know, just the joy of playing, but the joy of playing itself is producing all these wonderful things. The task of promoting play as part of pedagogy and the task of using play as a medium, not just of instruction, as self-constructed learning requires some formality in the school setting where as a teacher or as a curriculum developer, I’m thinking of the outcomes that I want to have. And I’m saying to myself, what elements in the children’s environment, that they are familiar with, can I bring together so that as they play with these things, the things that I know are likely to come out of it, you know, a, b, c, d, are coming out of it. So play represents one of the, probably the most important areas where we can illustrate the importance of diverse ways of looking at the world. But also the importance of looking at play materials really as not tied to any sort of cultural or locational sort of group, that all the elements are there. To formalize them though, so if I were to work with a group of curriculum developers, I probably would start with what are some of the goals we want to accomplish instructionally? And you list all the things you want to accomplish and say well are there things we need in our environment we have in our environment that can actually help us, you know stimulate the kinds of learning that will produce these kinds of outcomes. Now that is the tough part that we are not doing because we are easily looking to stores to find the things that we can buy. Unfortunately, when you go to store, the things you find to buy are not necessarily the things that children play with in their environment all the time. Do you see play used to support learning in preschool programs where you live? Or are play and learning (or work) considered separate, even for small children? 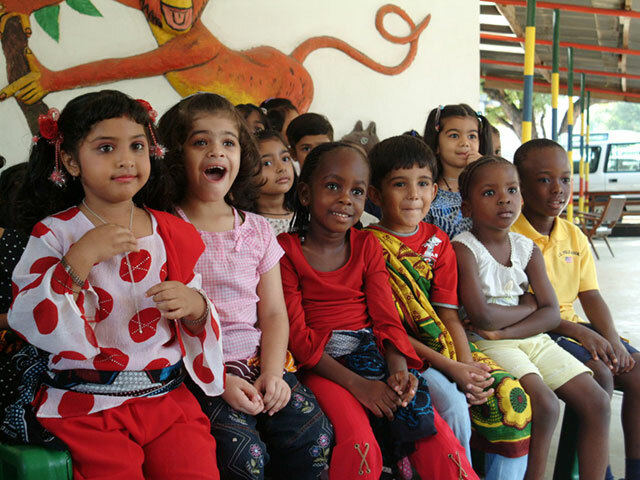 The Madrasa Early Childhood Programs (MECP) in Kenya, Uganda and Tanzania are well-known for their strong community-based approach, emphasis on playful, active learning and use of low-cost/no-cost materials. These programs began over 30 years ago and have been successfully scaled up in regions in Kenya, Uganda and Tanzania. The program trains individuals from the community as teachers, using a mentoring approach that has proved highly sustainable. More recently MECPs in the three countries have been collaborating with local governments and evolving into formally recognized Preprimary Teacher Training Institutes. Now enjoy a short video showing how MECPs and several other preschools in sub-Saharan Africa support language and literacy development through active learning and play. Young children live in an exciting, dynamic world, full of fresh new experiences. Interactions with the world around them and relationships with others are key to the development of language. Children who hear more and richer language develop greater vocabularies and, in turn, have a better foundation for literacy. Children’s play, friendships and everyday interactions help build their language skills. Pretend play in particular helps build a sense of narrative, a sense of story, and vocabulary – all of which are important for literacy learning. Children love listening to stories. Books and storytelling enrich children’s language, vocabulary and comprehension while engaging their imaginations. Children become familiar with print, as well as the structure and pleasure of stories, whether it’s in a group or sharing a book with a friend. In a Loipi Community Learning Centre near Maralal in northern Kenya, Samburu children excitedly gather inside a traditional structure to listen to their teacher tell a story. Following along carefully, they listen to the words, occasionally responding and the teacher uses her voice to keep the story exciting. Listening to stories and understanding them helps children become familiar with narrative and structure of stories. They may learn life lessons, develop imagination, humour and a desire to read books. In Madrasa preschool programs, a world of print surrounds children. The classroom is full of opportunities for children to see written words including homemade learning materials, posters on the walls and labels on shelves of play materials. An active learning approach is used for children to become familiar with names and shapes of letters as well as individual words. This little boy is using seeds to trace the letters, become familiar with their shapes and see that putting together two different letters in a sequence spells a common word. Children this age learn through sensory experience. In this program, children are learning the letters in important everyday words in their home language. Picture cards help them to understand the meanings of the words as well as match words to the cards. There are plenty of materials for all children to use. Before children can learn to read they must become aware of individual sounds within words, recognize letters and connect these to sounds. In the Zanzibar SOS Village kindergarten, attended by children living in the SOS Village as well as the nearby community, children work with a variety of home-made materials in small groups. This little girl is practicing the sounds of letters and putting them together to sound out words. The interactive material challenges her to sound out different 3-letter words. At another table, children practice printing letters using paints, again providing a rich sensory experience. Using chalkboards, children in this Madrasa preschool program are printing letters and beginning to understand the pattern in the word Mama. Teachers provide support to facilitate the learning process. 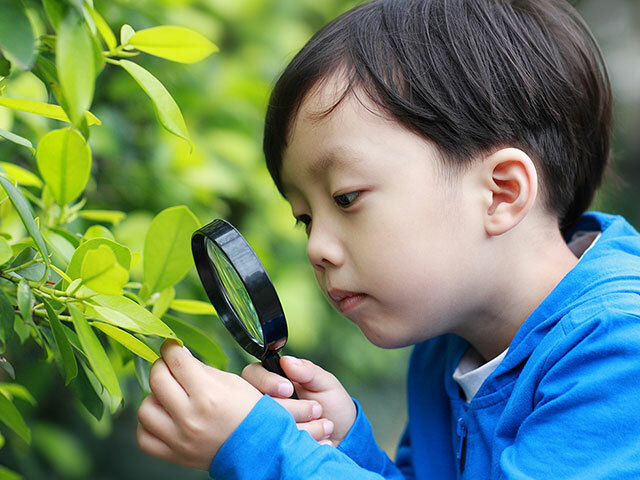 A variety of homemade materials are available for children to play with sounds, letters and syllables and the teacher’s assistance helps provide meaning for the use of the materials. Here, the teacher is assisting children to put together two-letter syllables to form words. These children already have a sense of individual letters and sounds and are now ready for the challenge of identifying vowels and practicing their different sounds in combination with consonants. Early Child Development programs provide activities and materials that build on levels of literacy learning. These children are now ready for printing in their own books. They can write their own thoughts and stories because they have had many opportunities and support to develop their emerging language and literacy skills. Reading out loud allows the reader to practice... whether it’s reading to a group of friends...or reading by yourself for the pure pleasure of it. For young children, a balance of opportunities for listening, speaking and becoming familiar with written language - all in a way that respects and understands their energy, their playfulness, and their fresh approach to the world of school, - builds a strong foundation for language and literacy skills and sets the stage for a smooth transition to reading to learn. How does telling or reading stories to children benefit their language development and emerging literacy skills? What is the value of providing print-rich environments and many active playful learning opportunities for children? The programs use many no cost/low cost classroom materials. Why? How does this relate to quality? Do you see similar programs where you live? Quality is a concept that is shaped by local context and values and defies a global or universal application. Forum participants did agree that however quality is defined, it is a necessary element to ECD programs striving to enrich the lives of young children. Western approaches to quality have dominated the design of ECD programs, often ignoring local context and culture that shape how children learn. The capacity of the ECD workforce is the active ingredient in the implementation of quality ECD programs. What is successful in one community may not work in another community – local context and community aspirations and strengths are essential starting point for implementing a quality ECD program. Quality services are those that are child and family centred, not provider centred. Stewart makes the point that indigenous perspectives of the world are very different from Western perspectives and this has implications for health systems. Stewart recommends that in order to provide better services to the indigenous population, we need to be future-oriented and let go of historical injustices to indigenous people. Albert Lee stresses that education in Early Child Development is only needed by specialists in the sector. Walker discusses the importance and complexity involved in determining how to maintain quality when scaling up the Jamaica Home Visiting Program. Which of the below is not a direct quote from Serpell’s presentation? In this new era, ICDSG (International Child Development Steering Group) proposed that stimulation and caregiver sensitivity are universally effective causes of the development of children's cognitive and social-emotional competence. But psychosocial intervention to optimize the development of young children cannot be operationalized with the same degree of cross-cultural equivalence as a vaccine or breastfeeding. Theoretical biases exist, which are well documented in the history of science that what is seen as a satisfactory explanatory model in developmental psychology reflects a great deal of the cultural intuitions of the population who write these theories and for whom they are written. Ideally all children should undergo standard IQ testing in early primary school in order to tailor the curriculum to maximize test scores. Arnold states that rather than replicating ECD programs that work well in one community, it’s important to first consider cultural context. Who said ‘play is universal’? Which of the below strategies are recommended in the video Supporting Language and Literacy for Early Child Development programs?